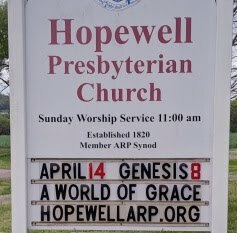 Questions for Littles: To whom does the apostle appeal? With what does he ask them to bear? What kind of word is it? In how many words has he written to them? From the Scripture for this week’s sermon, we heard an outpouring of brotherly love from the apostle. First, he appeals to his readers. He has the authority of an apostle. He has been reminding them that their elders rule over them. And yet, rather than wielding that authority like a hammer, he literally comes alongside them as a helper. The verb translated “appeal” here is a form of the word that Jesus uses when promising to send the Holy Spirit as “another Helper.” It’s not that uncommon a verb, but considering that it would have been more natural just to use an imperative—or even to say, “I command you in the Lord”—there does seem to be an emphasis on the difference here. Even more, it’s an intentional match to the term that describes what kind of word has been sent, translated “word of exhortation.” This word of paraclaeseos was a first-and-second-century term for the sermon in Lord’s Day worship, and it was directly connected to the Holy Spirit, the Paraclete. The term basically means to help in every way possible. It’s built from terms for “called” “alongside.” Jesus promised that there would be another One whom He would send to help His people in every way that they need, when He physically left them and ascended into heaven. And the Holy Spirit uses preaching, especially, to do this: appeal, comfort, command, console, correct, counsel, encourage, exhort, inspire, instruct, persuade, rebuke, teach, urge… and this is an incomplete list! Here is the apostle, knowing the love of the Holy Spirit, imitating the love of the Holy Spirit, expressing the love of the Holy Spirit, appealing to them as brothers, calling them brothers, knowing the resistance of the flesh to preaching, urging them to overcome it. 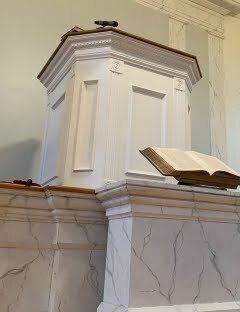 Preaching is Jesus, declaring His Father’s name to us on the Lord’s Day, as a primary method of bringing us into His rest—making us to hear the voice that speaks better than the blood of Abel, as He shakes away what will not remain and produces in us the holiness without which we will not see the Lord. The apostle assures them that this is a short sermon and lovingly appeals to them to bear with it—to yield themselves to this episode of the Spirit’s weekly work in them. How do you help your brothers give themselves to the Holy Spirit’s special help-words?